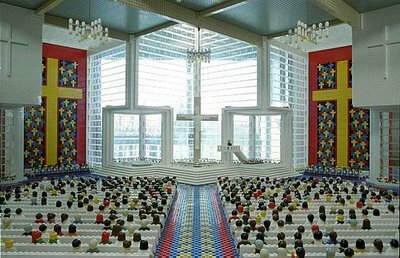 The “Abston Church of Christ” is a Lego project built by Amy Hughes, a computer programmer who enjoys doing Lego projects.She says she once wanted to be an architect. “Abston” is a fictional city whose name is drawn from the type of plastic used to Make Lego pieces (Acrylonitrile Butadiene Styrene). 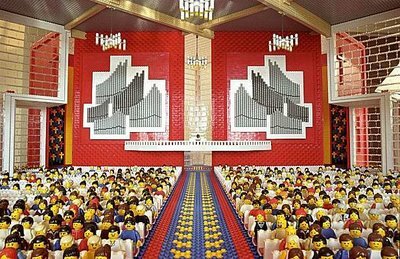 The church has hundreds of tiny Lego people sitting in it including a front row of custom selected Legos that represent real people who “attended” the dedication.